Donatello Mail arrived in autumn 2018 from Ireland having won a point to point on his latest start in early October. This strapping gelding by Zambezi Sun is an exciting addition to the yard & looks every inch a future chaser given his size & scope over an obstacle. Donatello Mail made his yard debut in a bumper at Uttoxeter in December 2018 before running over hurdles next time out at Huntingdon in February 2019 where he ran too keenly for his own good for much of the way. Settling in his races will now be the main aim & we look forward to seeing him progress next season. This good looking gelding arrived with us to begin his training in July 2017 having been broken in & ridden away in Ireland earlier that Spring. 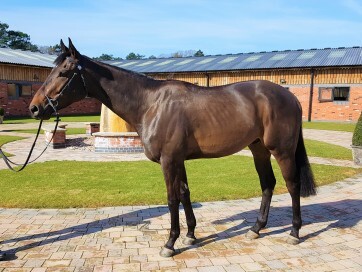 A fine stamp of a horse by Getaway, Dontcounturchikens made his racecourse debut in a bumper at Ludlow in April 2018 finishing a very promising 3rd following which he was put away again for the summer to allow him to strengthen & mature. 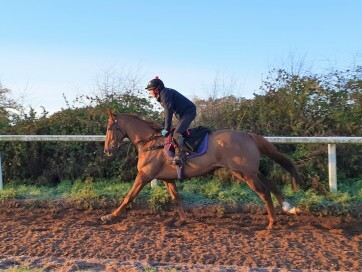 Dontcounturchikens made his 2018/19 seasonal return at Chepstow in November 2018 finishing 11th in a large field & was a very promising 2nd next time out at Doncaster, again in a bumper. We now look forward to watching him progress throughout the season. This attractive filly arrived in May 2018 and has since been broken in & begun her education here at Tyre Hill Racing Stables. 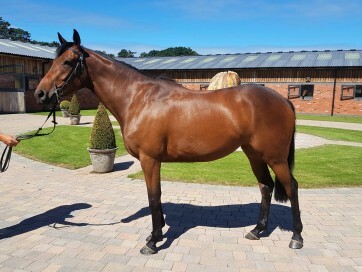 She is a good looking athletic individual who is now in full training & we look forward to seeing her make her racecourse debut in a bumper in due course. We bought Final Nudge as a three year-old from the Tattersall’s Derby Sale in 2012 & he has turned out to be a bit of a yard star. 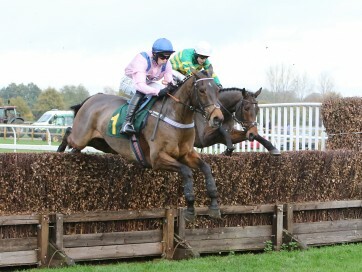 Following wins in a bumper & over hurdles as a 6 & 7yo Final Nudge made the perfect chasing debut at Fakenham in November 2016 landing the Weatherbys Racing Diaries Beginners' Chase and followed up with a further two victories on the bounce over fences winning the 188bet.co.uk Chase (A Novices' Limited Handicap) at Hereford and the Betfair Cheltenham Preview Novices' Limited Handicap Chase at Newbury in February 2017. 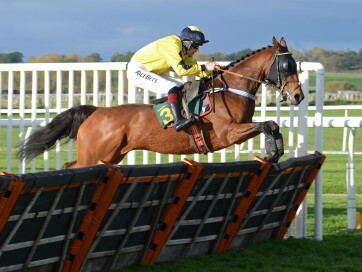 This season has so far seen Final Nudge make his 2017/18 seasonal debut in the Badger Ales Trophy Handicap Chase at Wincanton in November where he ran brilliantly to finish 2nd by only a head & went on to finish 3rd in the Coral Welsh Grand National Handicap Chase at Chepstow when it was re-staged in January 2018. Since then, Final Nudge continued to run well to finish 5th in the Betfred Mobile Masters Handicap Chase at Newbury in February & 9th in the Fulke Walwyn Kim Muir Challenge Cup Amateur Riders' Handicap Chase at the Cheltenham Festival followed by lining up in the Randox Health Grand National where he was jumping the iconic fences very well before getting crowded & falling at the canal turn. Final Nudge returned to the track back in the Coral Welsh Grand National in December 2018 where he ran well for a long way before eventually pulling up & found the ground a little too quick for his liking next time out at Wincanton in February 2019. We look forward to seeing him continue to contest the big long distance handicap chases again this year. By popular sire Yeats, Flying Verse is a half brother to our very own Roman Flight who following two starts in NH bumpers in 2017, soon made the switch to hurdles. Flying Verse was a winner at Southwell back in May 2018 when landing the Horse Racing Betting Odds At bettingodds.com Novices' Handicap Hurdle & made it three wins that season by taking the mintbet.com Handicap Hurdle again back at Southwell, in July, followed by a victory in the starsports.bet Handicap Hurdle at Bangor in October. Flying Verse was in good form last summer & he is now back in full training & made his seasonal reappearance running well to finish 5th at Exeter in April 2019. Being a good jumper & proving he stays at least 3m, we are now looking forward to seeing him enjoy the top of the ground again throughout the spring & summer months. This lovely horse arrived in February 2017 and his education has been going well here at David Dennis Racing showing a great attitude. 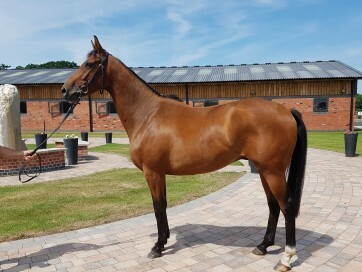 He is learning the ropes as his training progresses & we are looking forward to seeing him make his racecourse debut in a bumper this year for his owners 'Four Blokes Ltd'.